Opening Hours: 24/7. ‘Beyond Dimensions’ created by Stefan Nenov. 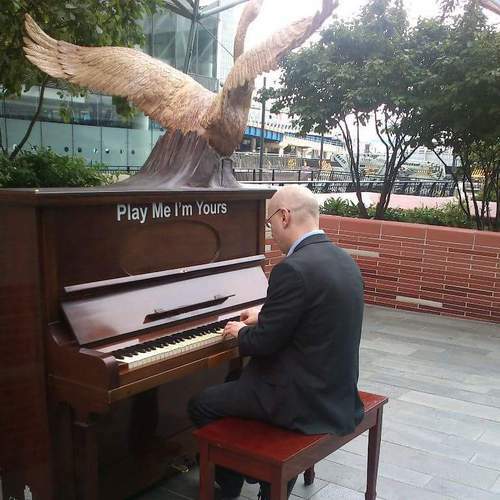 This piano has been donated to Mudchute Park & Farm on the Isle of Dogs. 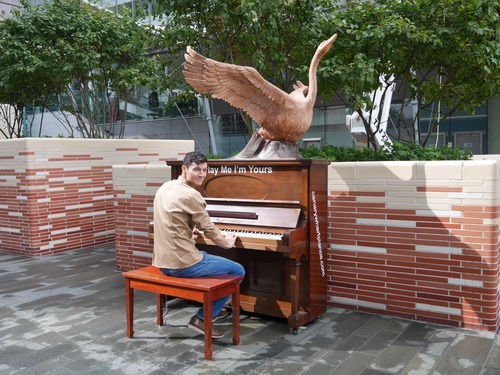 I liked the Swan Piano a lot, it looked so inspiring and also sounded very beautifully, with the reverb from the surrounding façades. 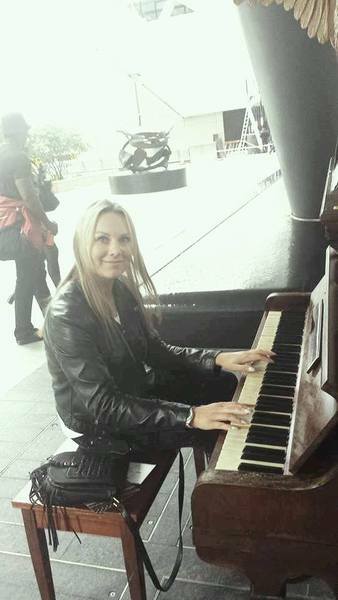 I don't really know how to play the piano, but i like the sound of it. Happy Wed to you. 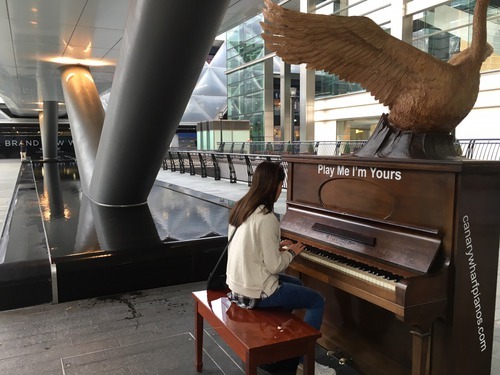 My name is Innocent Adriko, I think I have a beautiful story to share, here goes..
We needed a piano, I then remembered reading something about the Play Me, I’m Yours street piano art project by Luke Jerram. 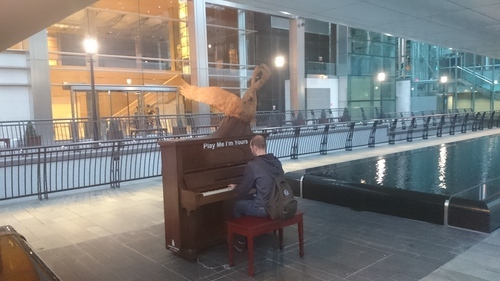 A quick google search later I discovered a whole army of pianos taking temporary residence at London’s Canary Wharf, and that was were we headed. 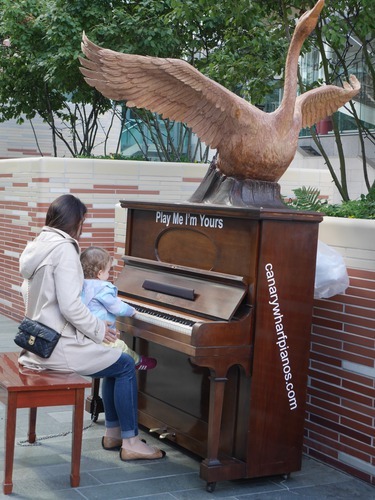 We found one of your pianos with a swan on it and started shooting the video. During the shoot I noticed a 2 year old boy who seemed to be way more curious and amazed than most 2 year old boys, it was as if he had just discovered the most amazing thing ever (more on that in a bit). I remember thinking how amazing it must be to see and experience the world through the eyes of one so young. 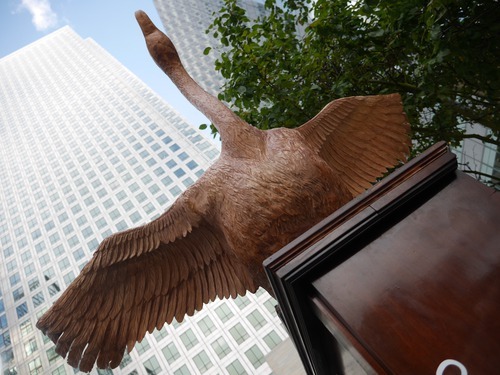 “ So pleased to have met you all yesterday, it was a magical experience with the children. Our little 2 year olds face was mesmerised by a truly beautiful voice & being able to hear a flute and a piano for the 1st time using his cochlear implant. Truly a beautiful moment of music for his eyes and ears. Bless you all x "
There was no way in hell I was going to change the tagline now, Music to your eyes and ears it remains! 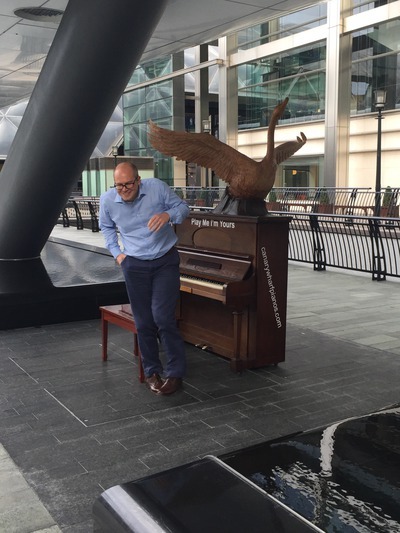 Walked up upon a business man belting out an imperfect but lively song on one of the pianos! 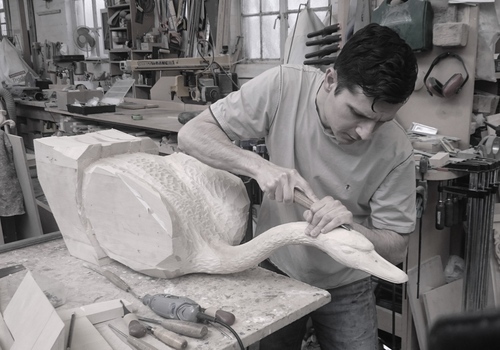 Fabulous carved swan nesting on the top of this piano.